I saw something intriguing at the Winter Antiques Show. A silhouette, definitely old, refined looking as all such silhouettes are, but somehow mysterious in the way the cut-out man held an unidentifiable object up against his body. 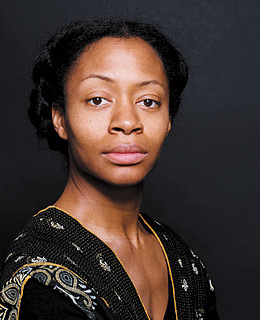 It reminded me of the 21st century art of silhouette-artist Kara Walker. Walker has exploded the conventions of the silhouette. She has created numerous black and white scenarios that suggest the depravities of race relations in a mythical Old South. Disturbingly beautiful, beautifully disturbing. 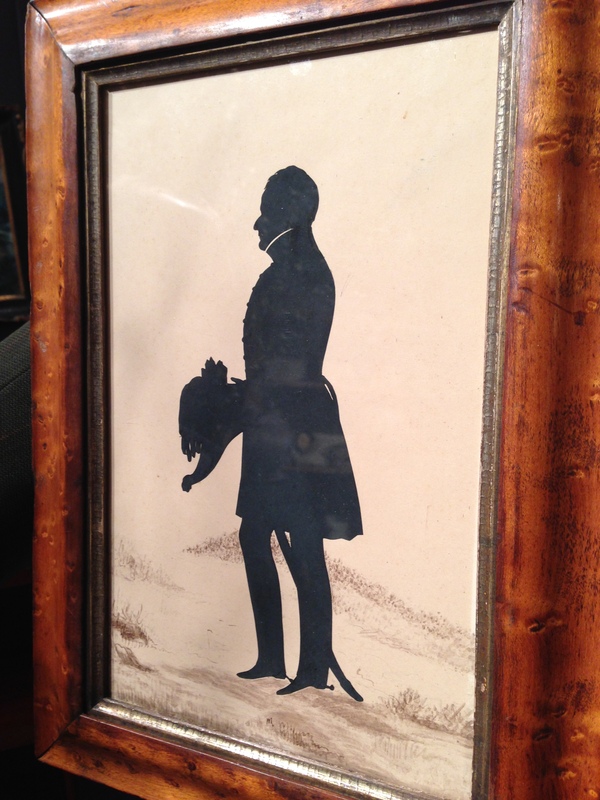 I learned from the gentleman offering the Antiques Show silhouette for sale that it was in fact the work of a well-known French artist of the nineteenth century. Auguste Amant Constant Fidele Edouart was his elegant name. Born just before the Revolution, he became proficient in his craft at a time well before photography, when this simple depiction of an individual was a cherished “snapshot” as much as a work of art. 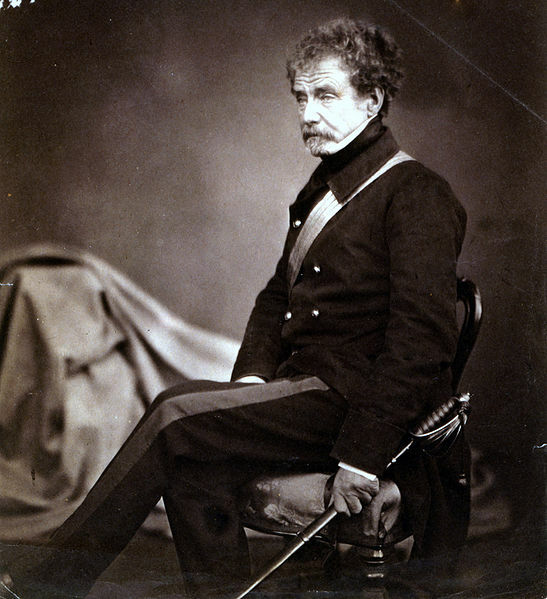 The portrait before me had been identified as the British Field Marshal Colin Campbell, 1st Baron Clyde, who lived from 1792 to 1863 and had a distinguished career, assuming the role of Commander-in-Chief of India in 1856. That odd object in his silhouette: his military hat. Edouart began his career in London, cutting out full-length likenesses in black paper, before moving on to Edinburgh and finally the U.S. He travelled the country creating hundreds of portraits as he went. Something about the itinerant portrait maker touched my imagination. I’ve been reading a biography of John James Audubon. I always imagined the great man making his way stealthily through the woods, sneaking up and capturing the birds he would bring home to paint in such vibrant pictures. It turned out I was wrong on many scores. Isn’t it wonderful when you are wrong and reality is so much more interesting than your naïve imaginings? Audubon did go into the woods, many woods, all around the country, but he rarely caught anything per se. Instead he shot birds, sometimes dozens at a time. 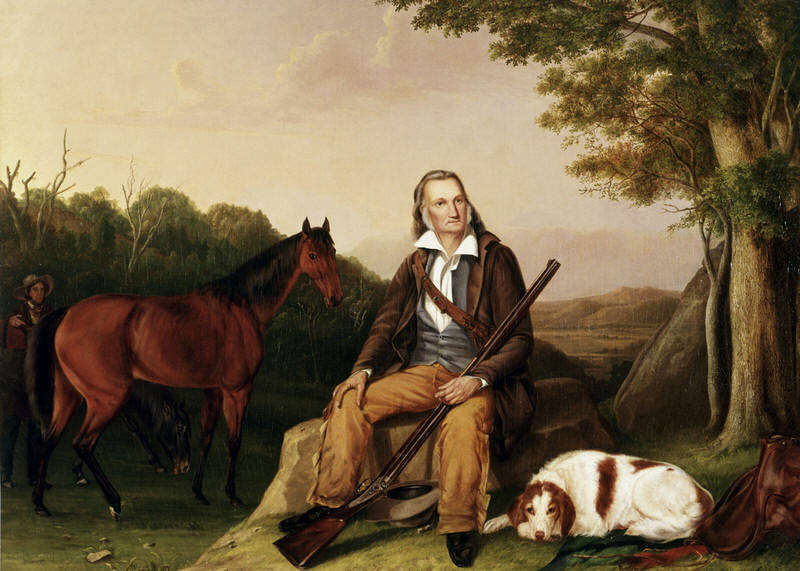 Ironic, perhaps, that the person for whom the Audubon Society was named was so avid a hunter. He would keep a few of his prey for dinner (he went hungry a lot at during some lean years of his life) and posed others with a rig he invented. It was a board with pins and string that held the bird in a position that mimicked life. What interested me as much as his technique was that The Birds of America, the mammoth series of ornithological color plates we recognize him for now, was for many years a sideline, a labor of love. He couldn’t make money at it. So he traveled around to cities and backwaters on the frontier, in Missouri, Kentucky, Pittsburgh, New Orleans, getting a few dollars to draw peoples’ likenesses and so put food on the table. 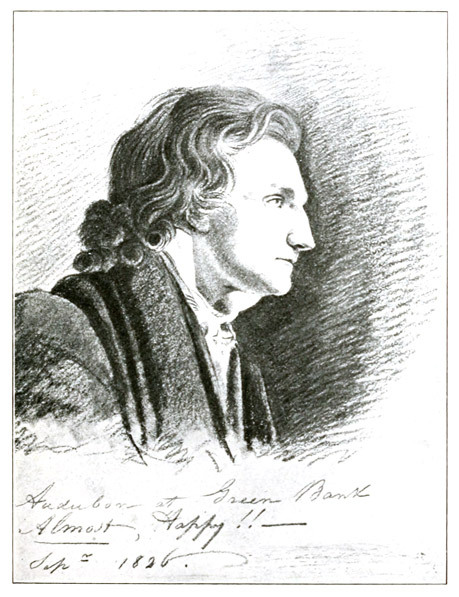 I would love to see some of these portraits, but the only sketches of Audubon’s I’ve been able to find are depictions of his family. 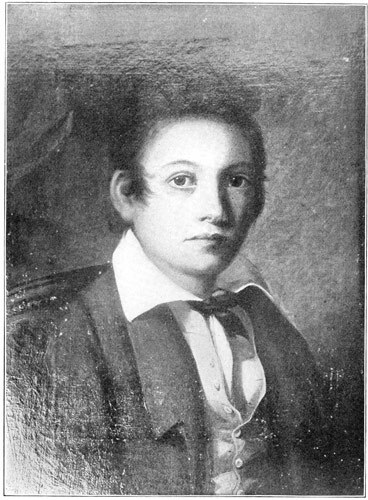 Here is his son Victor Gifford Audubon. And here is a self portrait. In the days before photos, people craved having an image of a loved one and a good-sized town would likely have a half dozen artists who were able to provide the service. 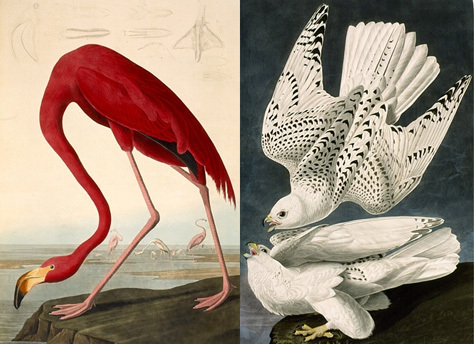 Audubon was never totally satisfied with his ability to capture the human animal in pencil. I wonder if he ever considered cutting silhouettes. Edouart — good name for an artist. He and Audubon were contemporaries, and both were French immigrants to America. Sweet, right? I just wish I could see the others. “Almost Happy!” Now that’s one that could go on my tombstone. Audubon’s sketch of his son is beautiful: a beautiful bird of America.